Congratulations on being selected for the District 211 Honor Band. Performing in this ensemble is an honor and a very significant musical accomplishment. 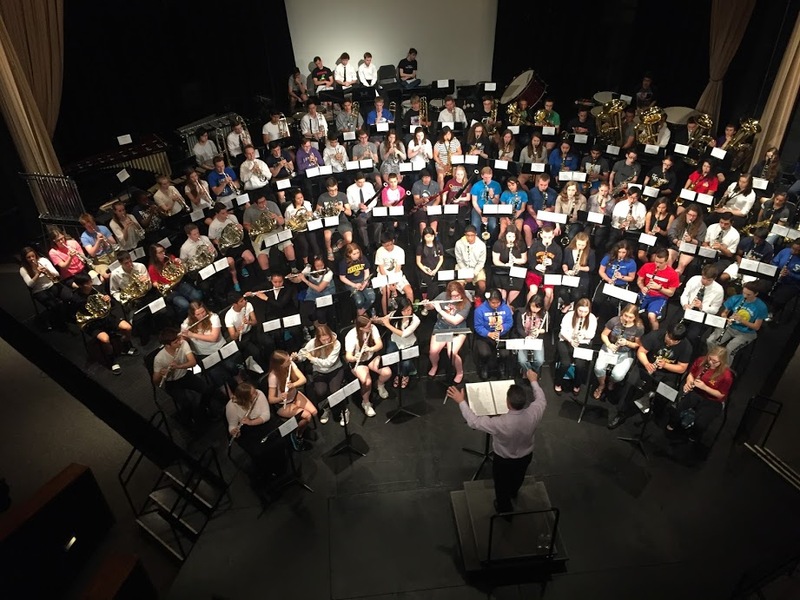 The D211 Honor Band Concert will take place in the Conant High School Auditorium on Saturday, March 16th at 2pm. The concert is general admission and no tickets are required. Doors will open to the public at 1:30pm. Click to download the informational letter, which includes rehearsal and performance details. Elizabeth (Betsy) Kerns McCann is the Assistant Director of Bands / Director of the Marching and Athletic Bands at the University of Minnesota. McCann is the first female head director of a marching band in the Big Ten Conference. McCann started with the U of M Marching Band in 2013 as Assistant Director. She previously directed bands at Watertown-Mayer High School (MN), Waubonsie Valley High School (IL), and Burnsville Senior High School (MN). She holds a Bachelor of Music (flute performance and music education) from the University of Minnesota and a Master of Music (conducting) from Northwestern University. Alchemy by Andrew Boysen Jr.